It's been a good several days for debt collectors. Just days before Monday's Supreme Court ruling, which found that banks collecting debt they purchased aren't bound by the Fair Debt Collection Practices Act (FDCPA), a consumer watchdog agency changed its approach to regulating debt collectors. According to The American Banker, the Consumer Financial Protection Bureau (CFPB) has made "an about-face," revising a proposed rule to make banks accountable for the accuracy of collection data, not the third-party debt collectors. Under a previous proposal, debt collectors would be held accountable for making sure they are trying to collect the right amount from the right consumers. The change was revealed last week by CFPB director Richard Cordray at a Consumer Advisory Board Meeting. "As we evaluated the feedback we received on the proposals under consideration, one thing became clear," Cordray told the committee. "Writing rules to make sure debt collectors have the right information about their debts is best handled by considering solutions from first-party creditors and third-party collectors at the same time." Cordray noted that first-party creditors like banks and other lenders create the information about the debt, so they may be in the best position to ensure its accuracy. He said lenders often try to collect the money themselves, or hire third parties to do it for them. "Either way, those actually collecting on the debts need to have the correct and accurate information," Cordray said. "All of these parties must work together to ensure they are collecting the right amount of debt from the right consumer." Cordray also told the group that the agency has decided to consolidate the "right consumer, right amount" issue into a separate rule that will be developed for first-party creditors. He said he expects CFPB will submit a formal plan by the end of this year, focusing on third-party debt collection. The banking publication notes it is a big victory for third-party debt collectors, who have incurred penalties in the past when they persisted in trying to collect a debt based on incorrect information. 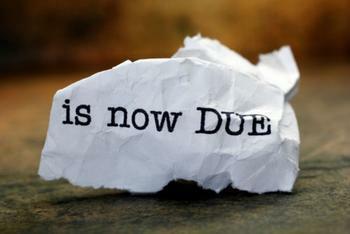 The CFPB began working on debt collection rules last summer. Early proposals shifted much of the burden of proof from consumers to debt collectors. Cordray told the committee last week it is important this work be finished, pointing out that debt collection is the single largest source of consumer complaints to U.S. government agencies.